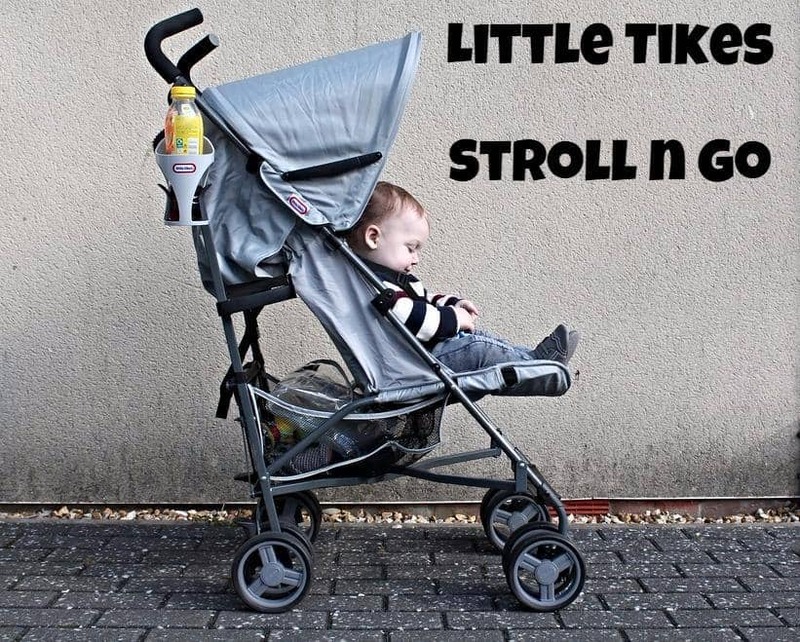 Little Tikes have made the leap from toys to travel, and we were lucky enough to be sent their Stroll n Go stroller to put to the test. I’ll admit that i’m not a huge fan of strollers, much preferring the sturdiness and adaptability of a bigger pushchair so I was keen to put it through its paces. The Stroll n Go arrived in one box and took about ten minutes to put together (attaching wheels and what not) and there is a raincover included in the box too. 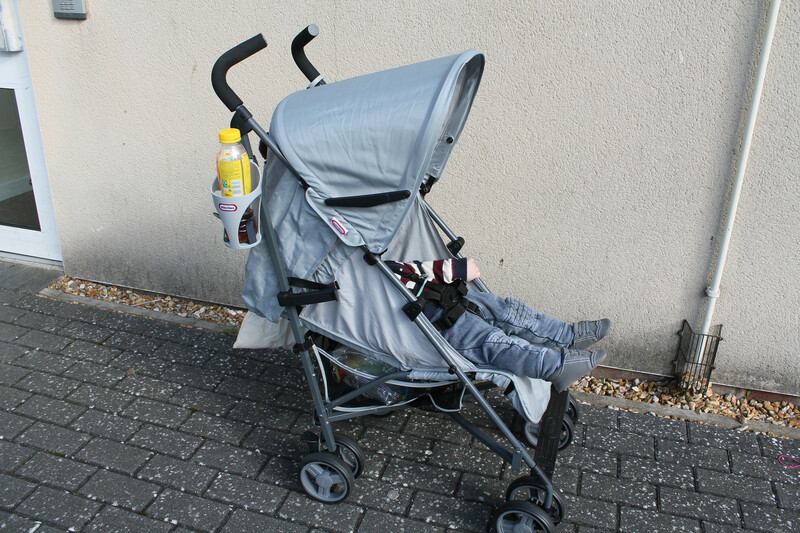 The stroller has an umbrella fold mechanism, so folds up a lot smaller than a regular buggy and is easy enough to do, and has got less stiff with time. There is a carry handle for ease of carting it about, and it’s really light too at 7kg. The backrest reclines using a strap behind the seat, so it can be reclined with one hand but would need two hands to go back up again however it does go into a flat position for naps or very little babies. I quite like reclines like this as you can choose any angle you like rather than the pre-defined ones of bigger pushchairs. The seat and footrest are padded for maximum comfort. 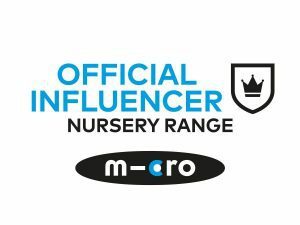 The leg rest can be extended upwards, so good for little legs to be sat in a more comfortable position, or down for bigger children to have their legs down and feet on the foot rest (which is rubber, easily cleaned and has the little tikes logo on. The harness is a 5-point with an easy to use (for parents, not kids!) clip and adjustable straps. I can easily extend them to fit round Athena (who is big for her age) or make them smaller for Arlo, two different shoulder height options means it will grow with your child too. One of the things I’m not keen on with strollers with two handles is that I find it hard to push with just one hand and often need to do this as I have a toddler to hold on to too! 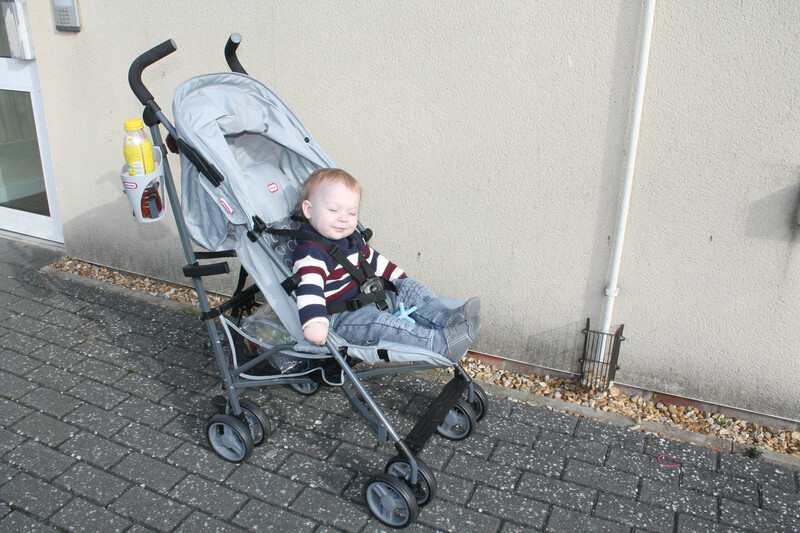 However this is actually easy enough to do with this one without it veering off into walls and hedges, possibly because the handles are higher than our old stroller (which was a second hand mamas and papas) which means that Sam can push without too much difficulty at 6’5″. 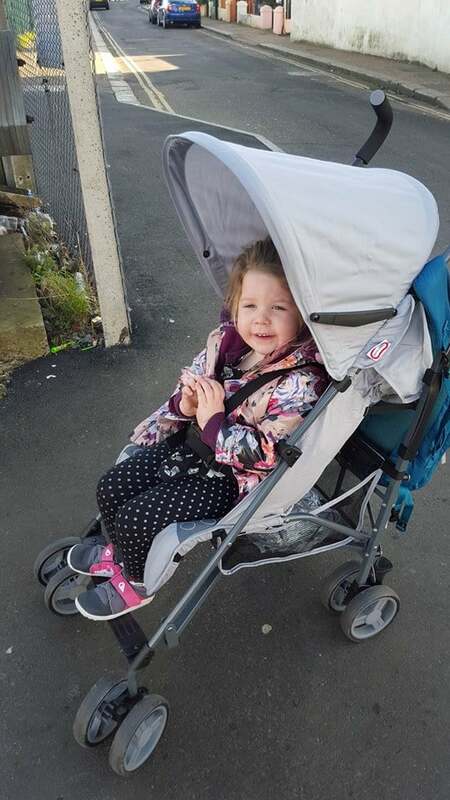 Due to the suspension on all wheels, and the swivelly front wheels the Stroll n Go is actually very manoeuvrable, it has a small turning circle and is easy to push up and down curbs and I’ve also used on the train and had no issues getting it on or off (we come of backwards obviously!) and it does fine on grass as well. The hood is fairly large, and stays in position with plastic arms that lock into place. It would be a nice addition to have a pull down visor from inside for extra sun protection especially for smaller babies who aren’t as tall. There is a really handy pocket on the back of the stroller which is big enough to fit anything you need to keep within grabbing distance (purse, phone keys and some wipes for example. 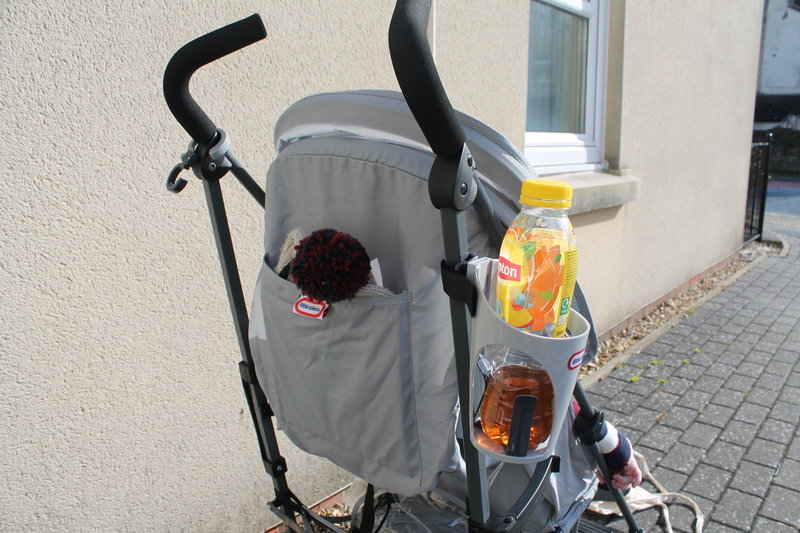 I was also sent a pack of buggy hooks and a drinks holder (seen above), both of which can be used on any pushchair or stroller, and make carrying your (or your baby’s!) drink plus any extra shopping bags easy. There are a few extra accessories available that are universal, visit the Little Tikes website to see them all. There is a raincover included in the box, however I when I went to use it I found it a little tricky to attach to the stroller with no obvious hooks for it! I ended up attaching it to the arms on the hood but I’m sure this isn’t right, though it did stay put for our journey and I will investigate further next time it rains! The shopping basket is a net which holds a decent amount (I use a backpack changing bag anyway so don’t need to squash one in the basket) and I can fit a sling, a lunch box and two big bottles of milk in there fine! 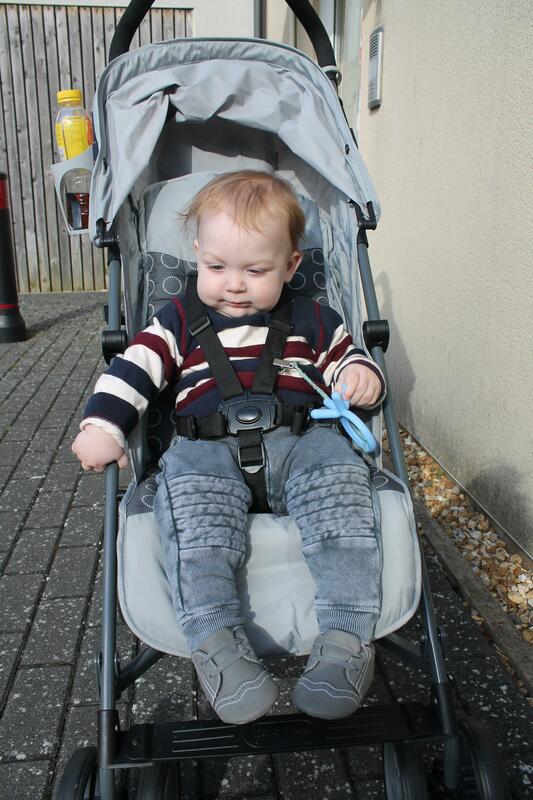 Overall though I really like the Stroll n Go and it’s changed my opinion of umbrella fold pushchairs. I can push it with one hand, can use it with both kids (separately!) 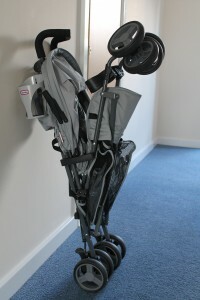 and can carry it under one arm whilst carrying a child on the other hip to/from the car! My mum loves it too, she finds our bigger pushchair pretty heavy going up and down curbs and says this one is ‘lighter than air’ in comparison! The stroller is finished well, with ‘Little Tikes’ logos present on the end caps of the handles and the pocket on the good etc. We were given a Stroll n Go for the purpose of this review. All words and opinions are my own. Looks and sounds good – I had no idea Little Tykes had branched out to travel! I have a similar opinion to you about strollers but then I get fed up with our heavier pram/pushchair so keep switching them about. I think my favourite thing about this is the drinks holder! But then that would tempt me to drink more coffee than I should no doubt.